When you’re running your HVAC business, it’s important to learn how to properly and effectively delegate so that you’re not a slave to your business. You want to work on your business, not constantly for it. So learning how to delegate is an essential skill to master. 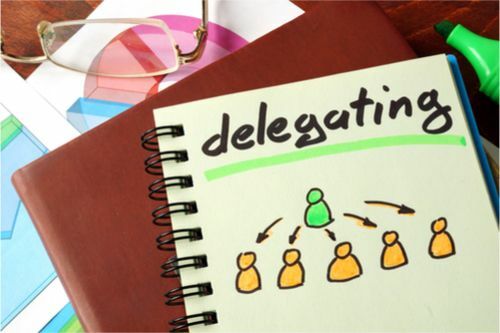 Here are a few tips for effective delegation. 1. Hire people you trust. The first step to delegating is hiring employees you trust. You’re never going to be able to hand tasks off to your employees if you’re not confident that they can get the job done correctly. So make sure you’re creating an interview process that helps you to determine if a new hire is a good one. 2. Set clear goals and expectations. Let the person you’re delegating a task to know exactly what to do and how to do it. Tell them what you expect out of the task so they fully understand what you’re looking for. This is the whole point of delegating–to get the task off of your plate. If you’re choosing someone you trust and giving them clear expectations from the start, there’s no reason you will need to micromanage and oversee completion of the entire task. 4. Provide support throughout the process. Let your employee know that you’re available for any questions. This can help smooth out the process and ensure the task gets done correctly. Being available for contact the first few times your employee is completing a task can help make sure they’re not afraid to ask questions and can ensure the task gets done right the first time. 5. If you’re not satisfied with the task, give the employee another chance. Especially if it’s an employee’s first time completing this task. Give them the chance to try again, but with clear direction on what they did wrong initially. 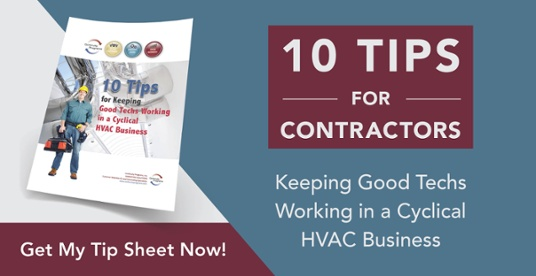 Delegating is key to running a successful HVAC business. Don’t be afraid to hand off some tasks to employees you know can handle them.